The recent announcement of two initiatives aimed at encouraging greater use of renewable heat technology presents an opportunity for farmers and rural property owners seeking to reduce both their energy bills and carbon footprint. 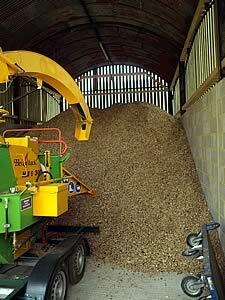 Renewable heat schemes are set to set to revolutionise renewable heat generation. The Renewable Heat Incentive (RHI) and the Woodfuel Woodland Improvement Grant (Woodfuel WIG) are schemes which are set to set to revolutionise renewable heat generation. The RHI is the first scheme of its type in the world and will support installations in both England and Wales, including biomass, solar thermal, heat-pumps, on site biogas, deep geothermal, energy from waste and bio-methane injection. Eligible installations will receive index-linked quarterly payments over 20 years. Payments are scaled in accordance with the technology used and the size of the installation and will be made on the amount of heat passing through a qualifying meter. Domestic properties may also qualify for a further ‘Premium Payment’ to assist with the installation of renewable heat technology in domestic properties. The Woodfuel Woodland Improvement Grant (Woodfuel WIG), launched by the Forestry Commission, aims to stimulate management of neglected woodland for the purposes of increasing woodfuel production. Support is available for the creation of forest roads, access tracks and other related harvesting infrastructure. The WIG can also support the costs of management works and drawing up/supervising harvesting contracts. Support of up to 60% of costs is available. To qualify, woodland owners must have a Woodland Management Plan (WMP) in place that includes details of timber volume and harvesting plans. Those who don’t have a WMP can apply for a Woodland Planning Grant which will offer support for the creation of a management plan. Fisher German has first-hand experience of providing independent advice on Biomass renewable heat technology and rural property management. For further information please contact David Powell or Matthew Stuart at Fisher German in Worcester on 01905 453 275 or email david.powell@fishergerman.co.uk or matthew.stuart@fishergerman.co.uk. For Peat’s Sake - It’s a Free Event!